The Sol Sisters International Women's Day Festival in Oakland was the place to be for anyone wanting to spend a Saturday in the Bay Area celebrating and honoring women's achievements. The atmosphere at the March 9 event was creative, inspiring, and supercharged with the work of women and girls from all backgrounds intent on taking control of their destinies. 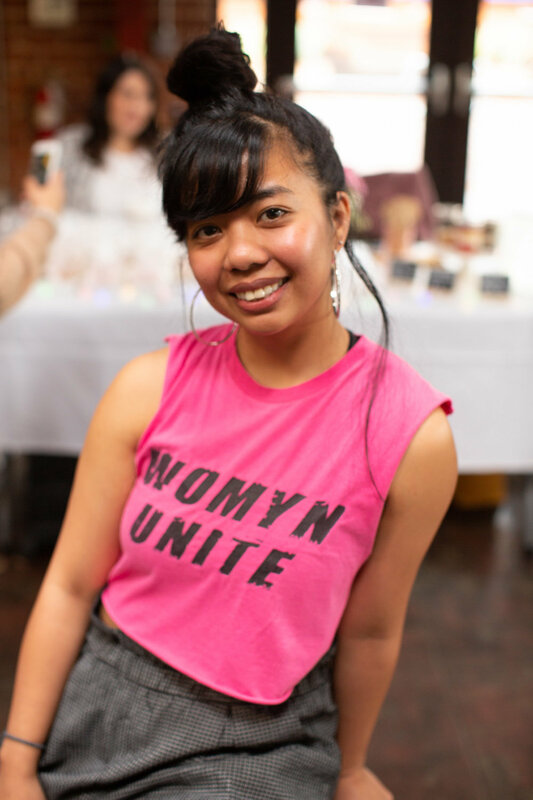 The festival honoring International Women’s Day (IWD) showcased women-owned businesses, singers, dancers, rappers, artists, wellness workshops, and other activities to nourish the heart, mind, soul, and body. Brooke Dawson with BrookeLyn Ceramics. Photo by Tumay Aslay. Ayana Omilade Flewellen, owner of Dovie's Divine Jewelry. Photo by Tumay Aslay. Camisha Green, owner of Camisha Cakes. Photo by Tumay Aslay. Leilani Rose, a performance artist. Photo by Tumay Aslay. Tahitian dance team. Photo by Tumay Aslay. Artist Tiffany Convay. Photo by Tumay Aslay. International Women’s Day is a celebration that dates back to 1911, when women were fighting oppression, inequality, dire working conditions, violence, and discrimination. The first IWD events were held in Austria, Denmark, Germany, and Switzerland, and soon spread to Russia, Europe, the U.S. and beyond. While we live in times very different from the era that saw the first IWD celebrations, gender inequality and female oppression are still ever present around the world. IWD is just as important today as it was in 1911, and is observed with marches, protests, rallies and teaching events in small towns and big cities around the globe. The holiday has no boundaries based on country or single person or single group. Rather, it has always been about collective efforts to fight for gender equality. Sol Sisters is a nonprofit organization founded by mental health clinician Christine Coleman. As she worked as a counselor to low-income students, Coleman realized that families were reluctant to engage in therapy, which was considered taboo due to culture stigmas. She began working with other professionals to bring wholistic health, healing, and empowerment services outside of traditional therapy settings to women and girls of all backgrounds. Sol Sisters partners with local nonprofits to provide workshops about wellness, love, beauty, and self-worth to under-resourced women and girls. Each year the organization offers community events in fitness, beauty, mentoring, and mental health. Sol Sisters’ mission is to provide holistic health services to enrich, empower, and evolve women of all backgrounds. Sol Sisters’ IWD expo-style festival was held at Oakland Impact Hub, a co-working space on Broadway. The venue is known for hosting events that celebrate and empower the community, as well as providing a welcoming space for many tech and local business entrepreneurs. A wide variety of women-owned businesses were on hand. 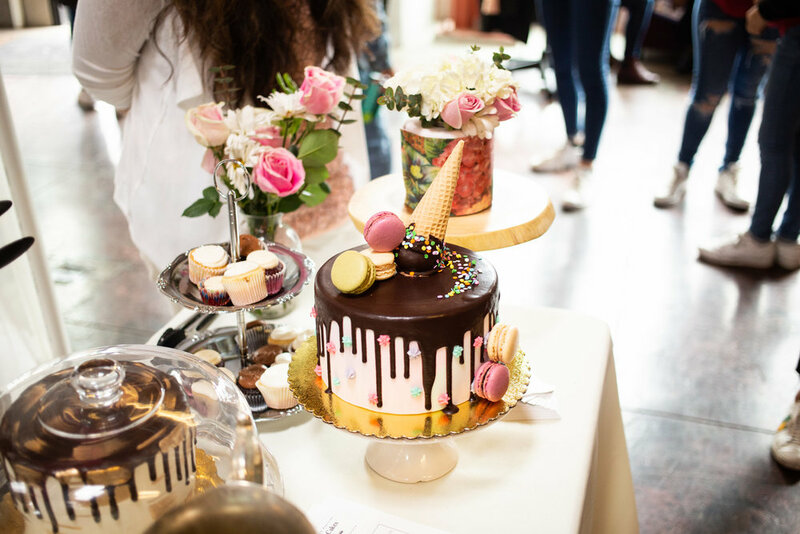 From young entrepreneurs making their first sale, to women who have made their passion a profession, the festival represented women from many different backgrounds and stages of life. 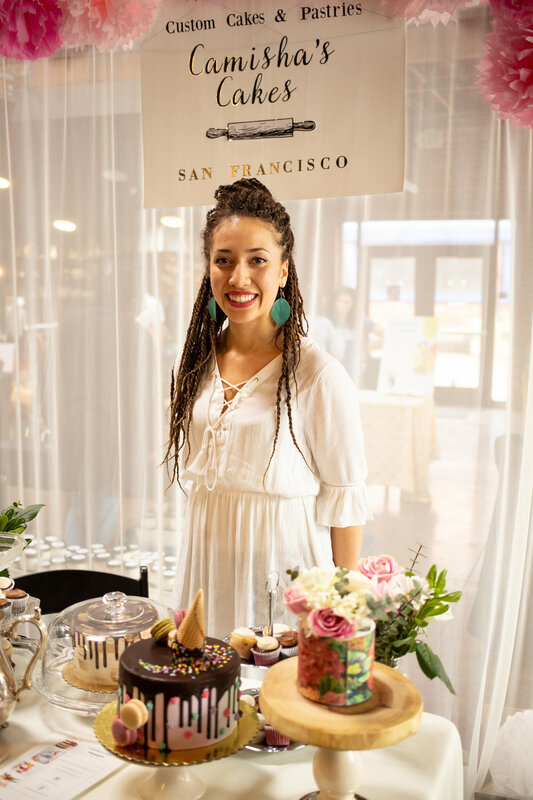 Attendees had the opportunity to sample foods from bakeries and professional chefs, learn and embrace holistic healing methods, pick up empowered women clothing, and collect original art from local Bay Area artists. But better than just purchasing products, attendees had the opportunity to interact with entrepreneurs and creators, and ask about their stories, their backgrounds, how they came up with the idea for their business, where it has taken them, and share their own thoughts on the Sol Sisters’ experience. The expo itself was only half the experience at the festival. 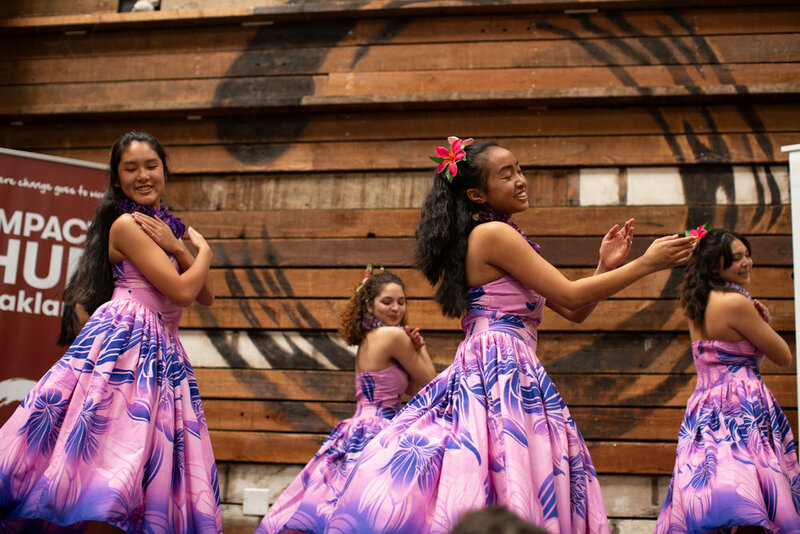 Sol Sisters also had a showcase of artists performing on stage, including slam poets, a young all-girl dance group, singers, and a competitive Tahitian dance team. Performers came from all over to share their talents. The main headliner, music artist Samiere, travelled from Los Angeles to perform. A singer-songwriter, activist, author, and San Francisco native, Samiere shared a part of her own story in every song she sang. The performances really exemplified that there’s no age requirement to feel empowered or empower others. Girls aged 12 to 17 formed the dance group Mini Mix’d and used dance to connect to the community and build respect for each other and themselves. While each performer brought a unique perspective to the event, I could use the same words to describe all of them—empowered and unstoppable. Artists shared not only their talents but also their stories and inspirations. 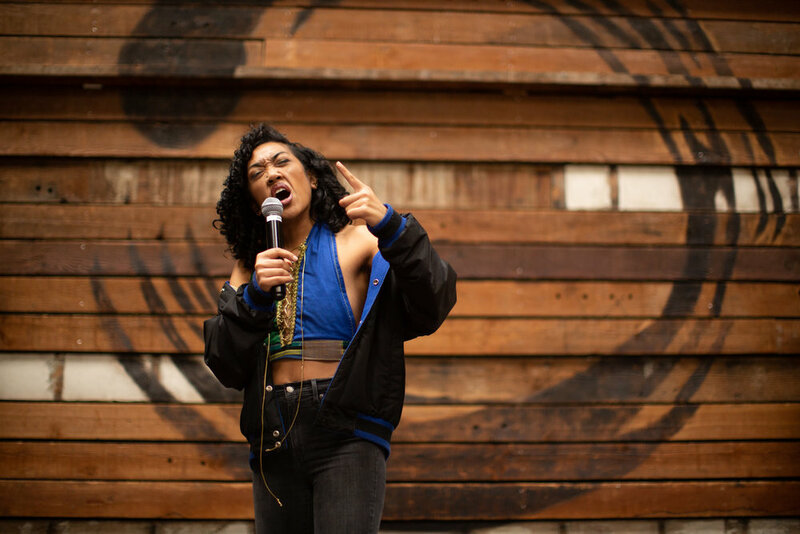 Leilanii Rose, a community based performance artist. Photo by Tumay Aslay. Throughout the day exhibitors ran four separate workshops, each with a different focus. Entrepreneur London Wolfe inspired women to show up and be fully present by aligning masculine and feminine energies within themselves. Her mission was to help others break through to the life they desire most. Regina Evans led a workshop based around healing for survivors. Shahidah Al-Amin Zareef led a workshop dedicated to empowering mothers and addressing the unique self-care needs of mothers. The final workshop of the day was led by Ris Tena, who talked about ways to balance masculine and feminine energies, the importance of nurturing both, and ways we can challenge ourselves to use these different energies more. Stephanie Archayena, Expressive Arts Coordinator of Sol Sisters, was the one to meet for this event. For her the best part was, “witnessing how devoted, beautiful women can just come together and collaborate, and seeing the teamwork—it really does take a village to bring something about like this.” And I would agree with Stephanie there. It is truly incredible what we can accomplish as individuals, but what is more powerful is what we accomplish when we work together. Nicole Masaki is a freelance writer.